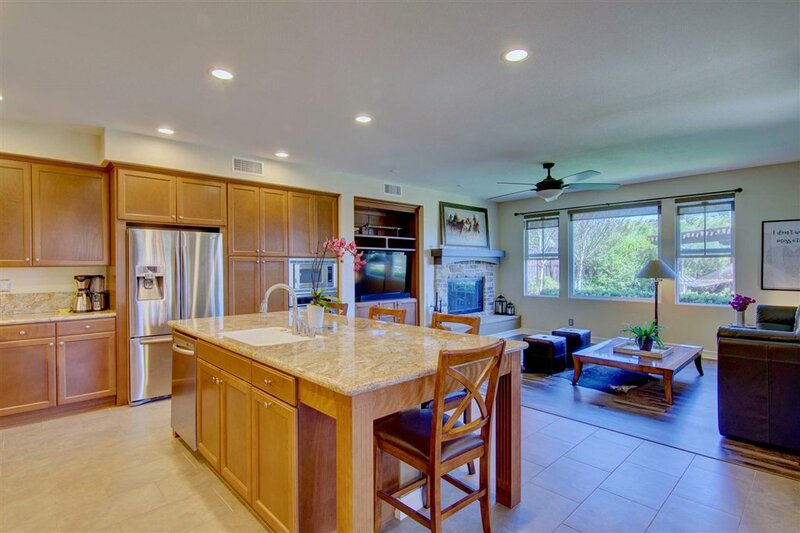 The open concept kitchen features a large island with granite countertops & seating for four, stainless steel appliances, double ovens and a built in microwave. 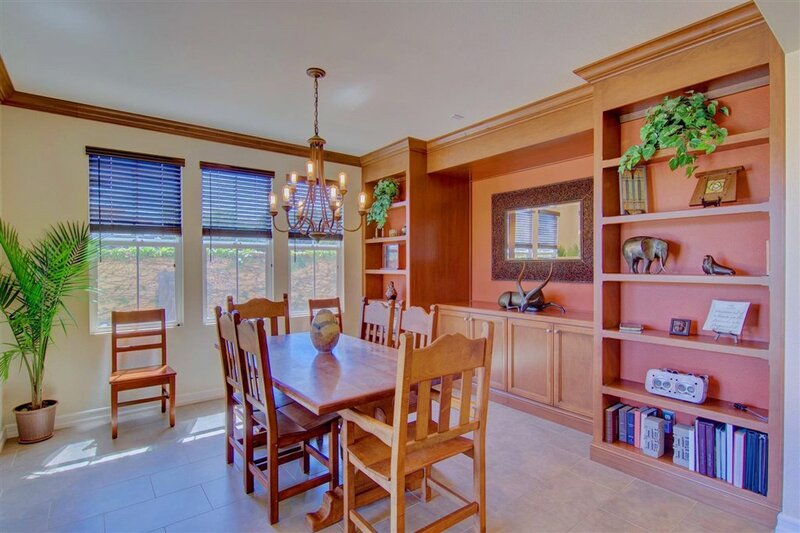 The living room has a gas fireplace and large picture window overlooking the yard & golf course which flows seamlessly to the dining room with built in shelving & buffet. 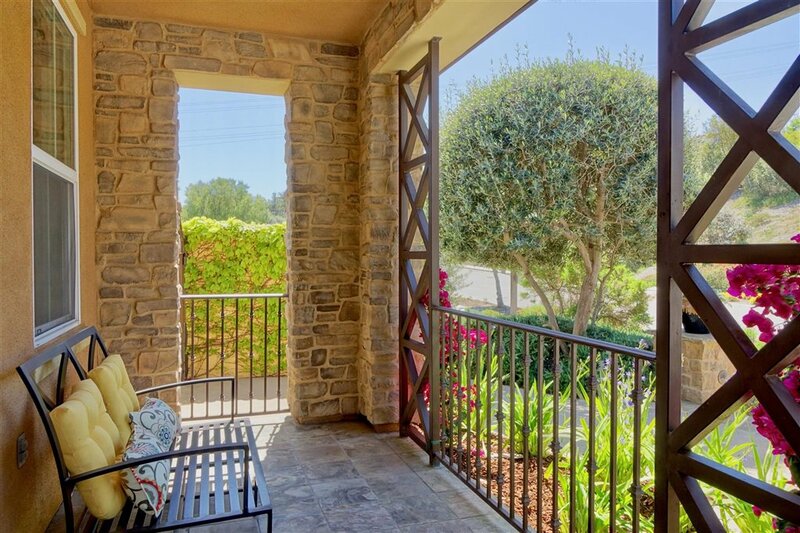 Step outside to enjoy the covered loggia with fireplace and built in BBQ which makes grilling convenient year around. 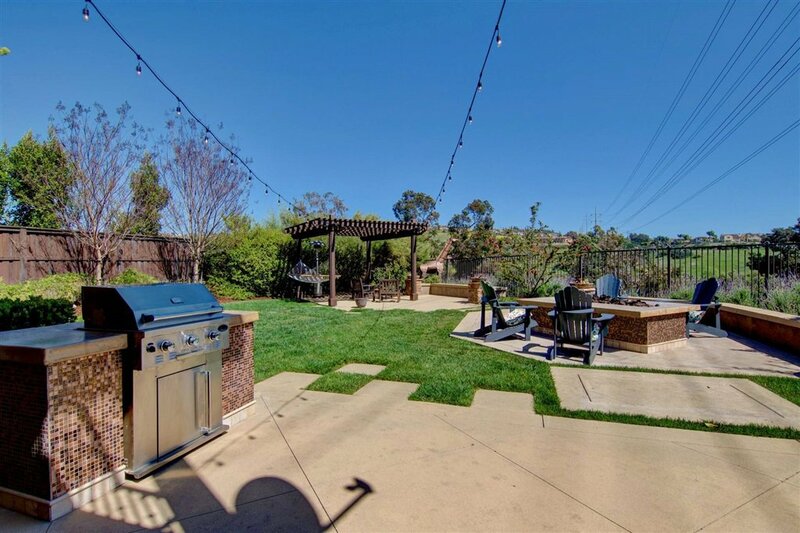 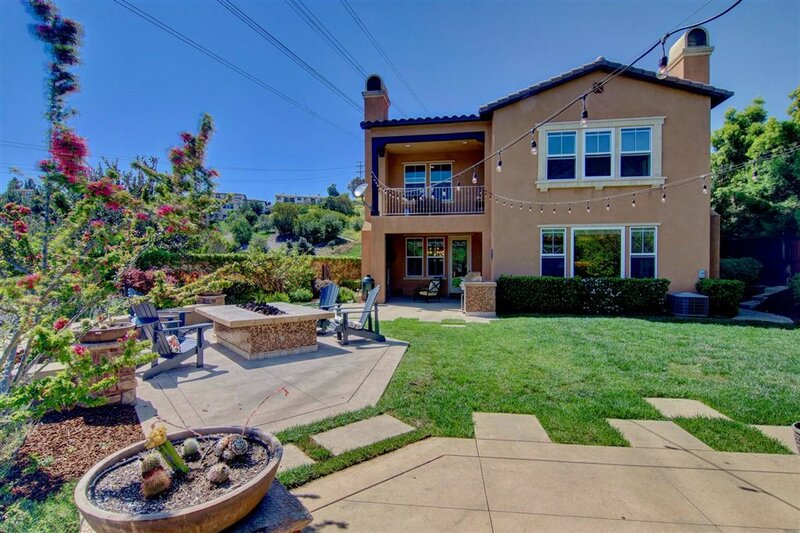 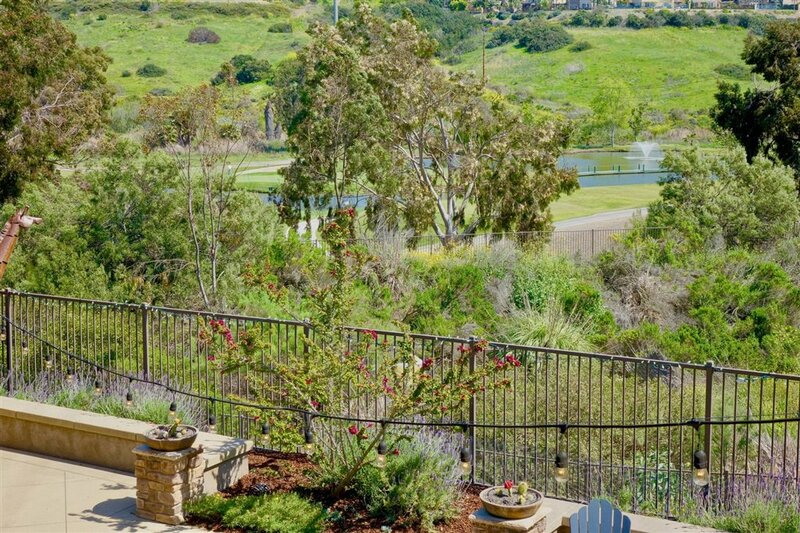 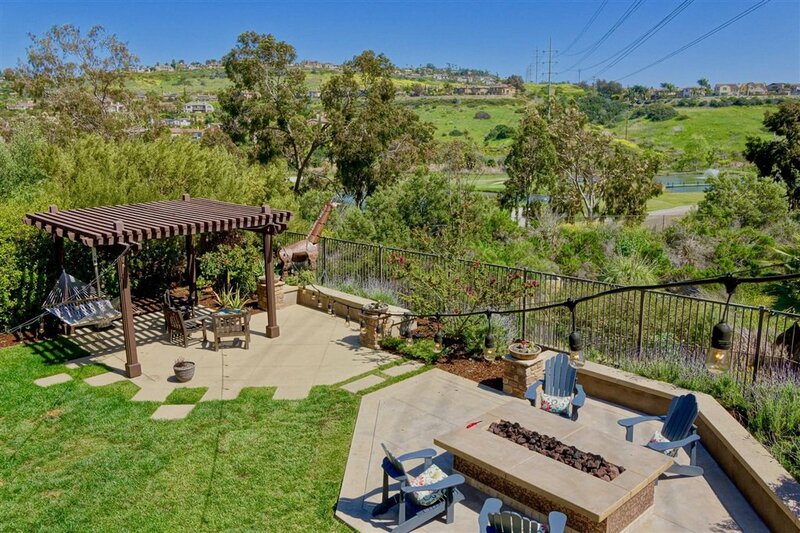 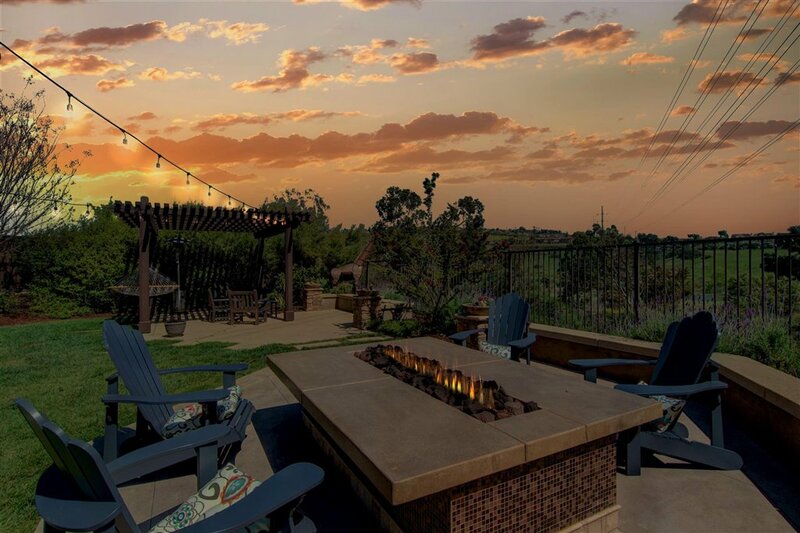 The backyard is the perfect spot for gatherings with family & friends which features a unique fire pit table, wooden pergola and grassy area, great for pets & kids to run around while taking in the gorgeous views of the golf course & hills of La Costa. 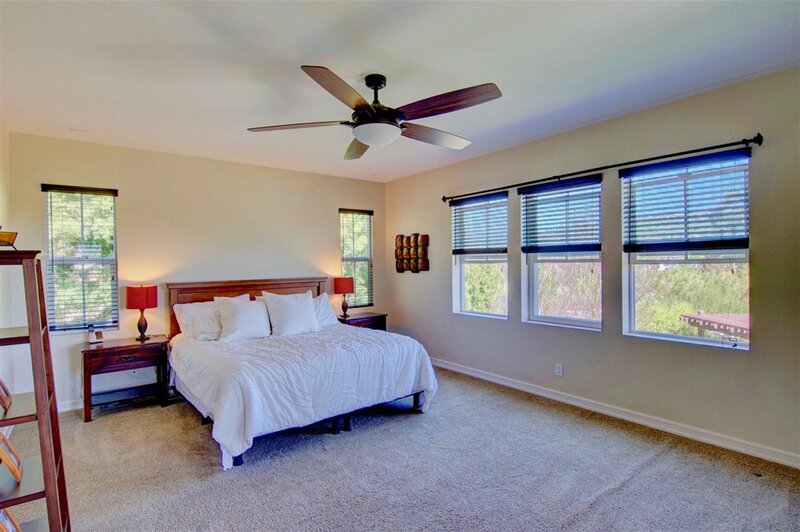 Upstairs you will find two additional secondary bedrooms with a jack n jill bathroom, laundry room, built-in storage with tons of windows. 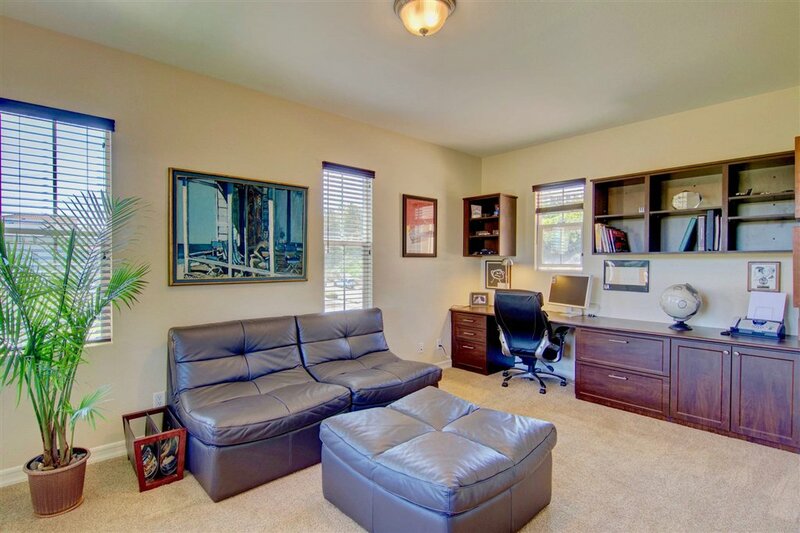 The expansive Master Suite features a large view balcony and office with built in desk & seating area. 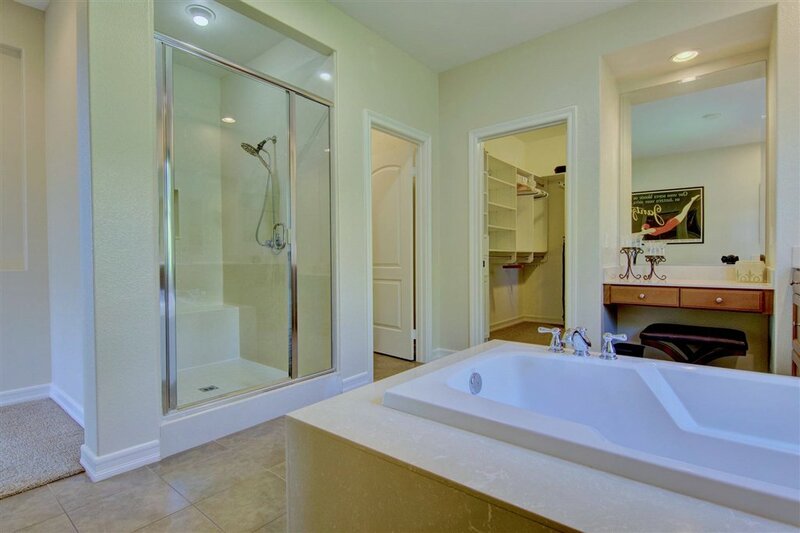 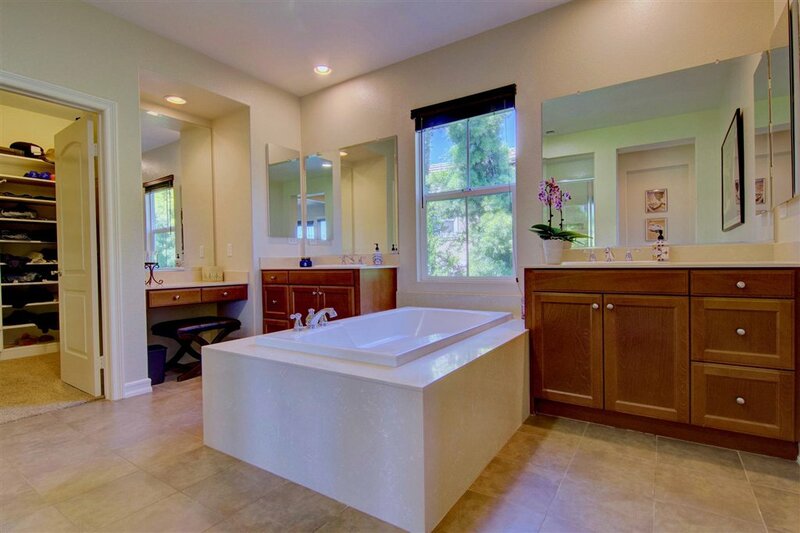 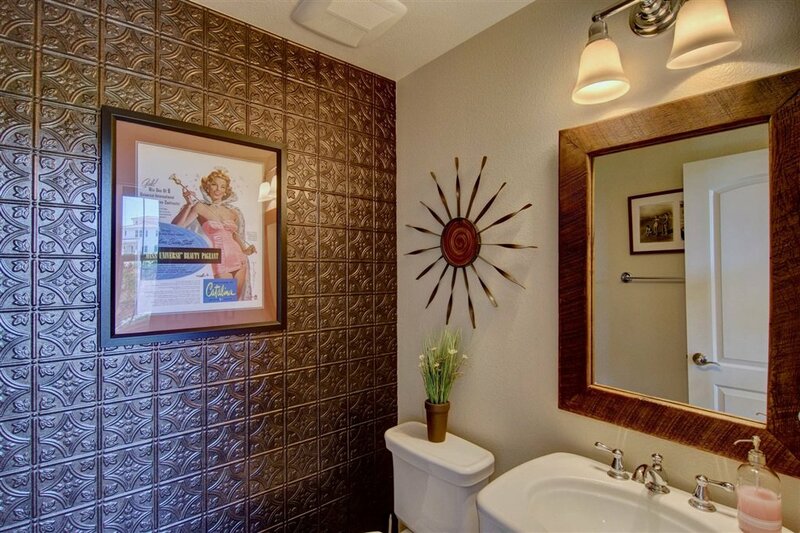 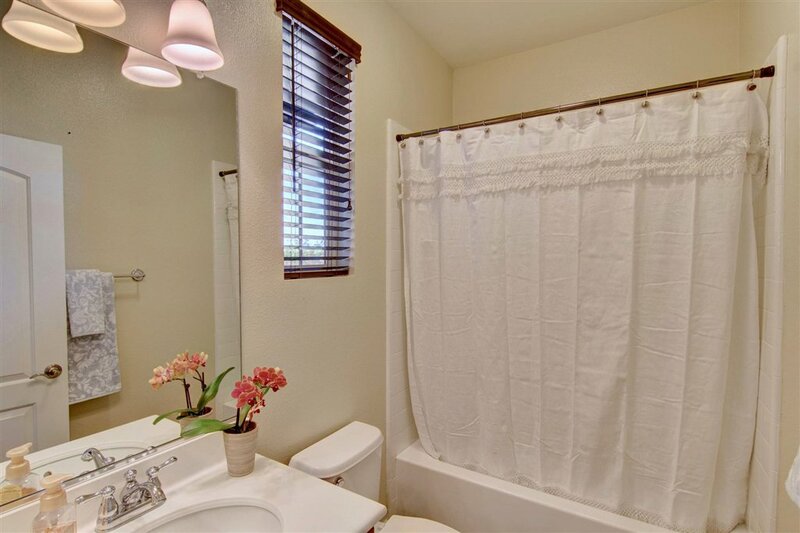 The Master Bathroom has dual vanities, a large soaking tub, separate shower and walk in closet with custom closet organizers. 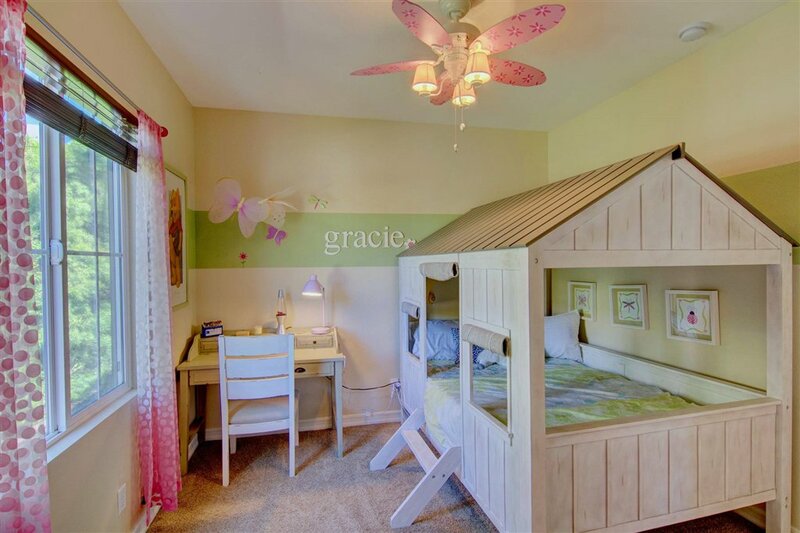 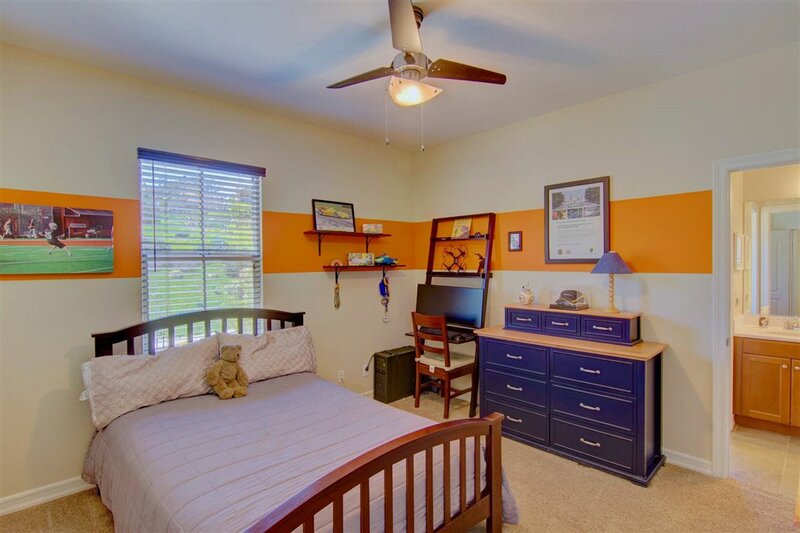 3 car tandem garage with built in storage & work bench, neighbors only on one side make this a premier lot that gets loads of natural sunlight and wrought iron gated entry to your front porch make this home very private & secure. 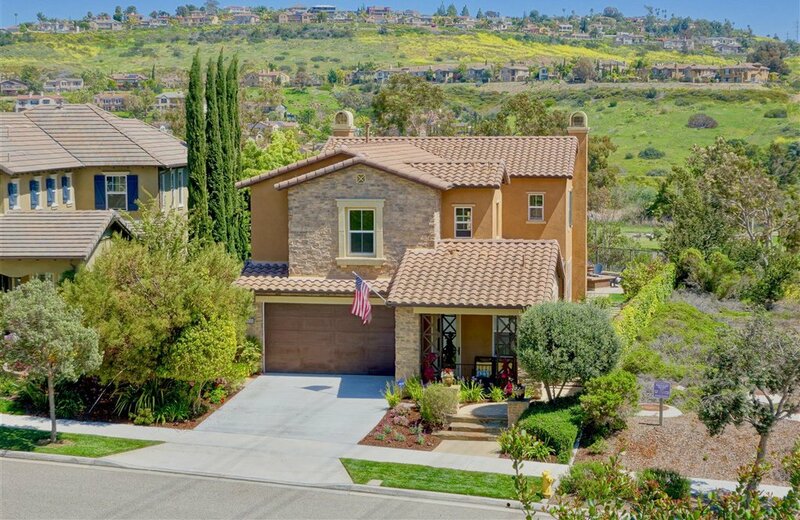 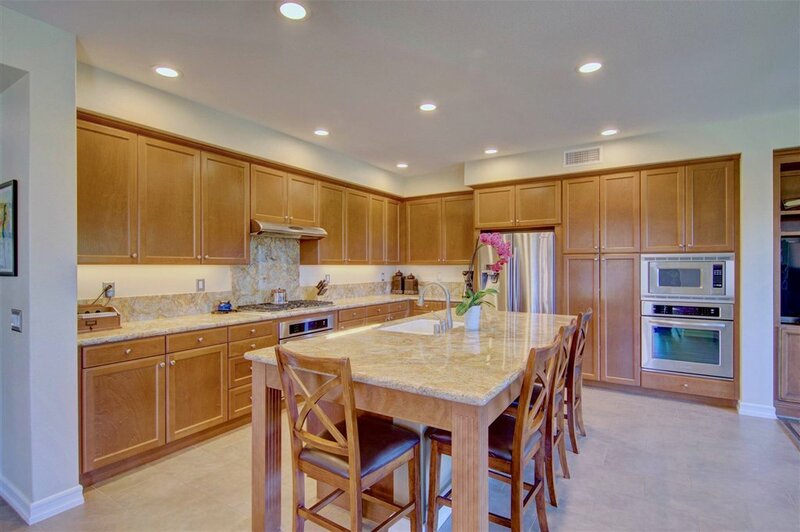 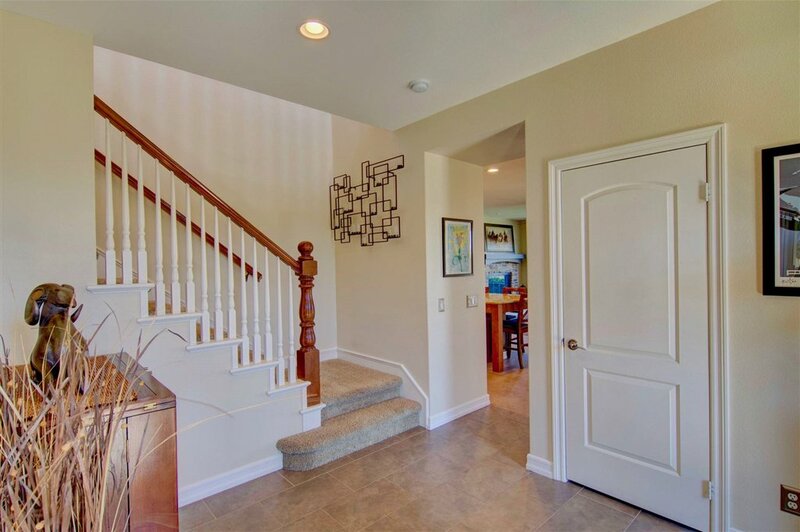 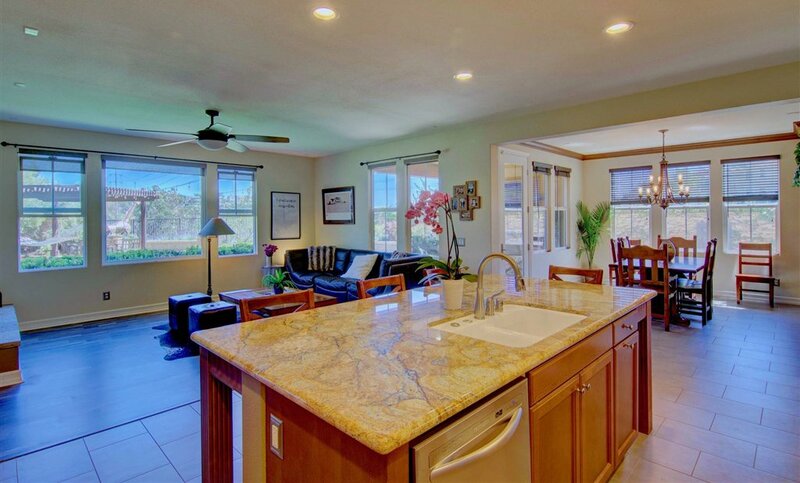 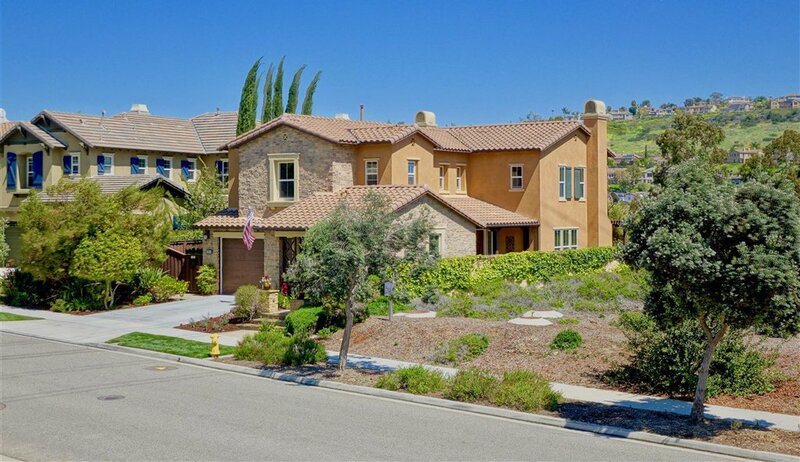 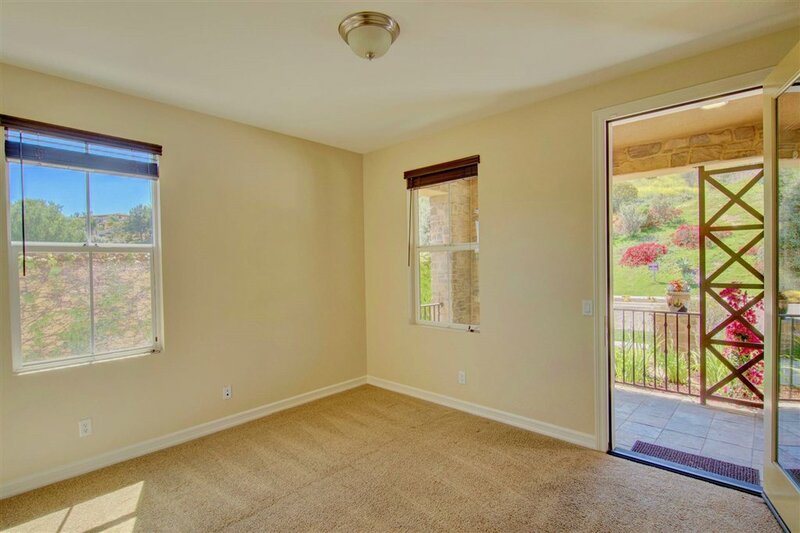 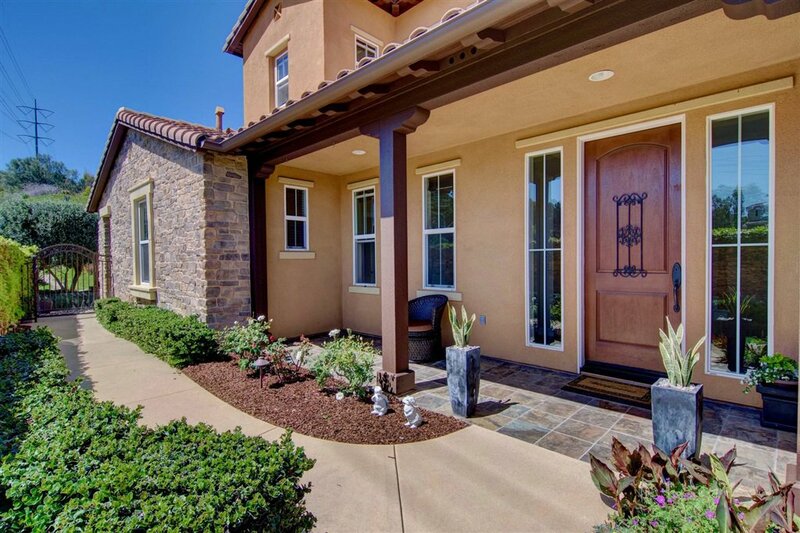 This home is located within the Carlsbad School district with access to the coveted “Presidio” Pool, Clubhouse Amenities, tennis courts and more… Don’t miss out on this Turn Key Home in an ideal location in La Costa within minutes to shopping, restaurants & the beach! 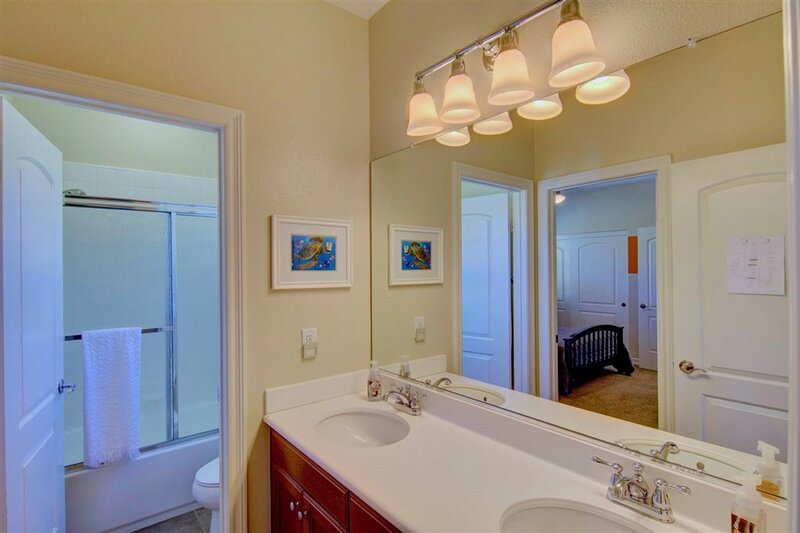 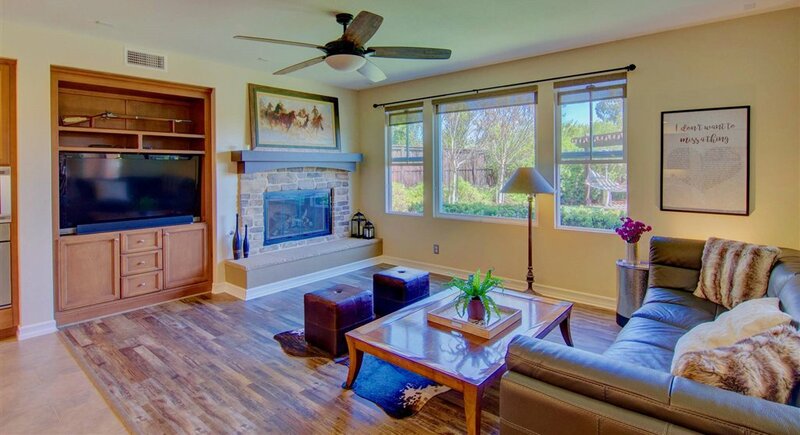 A Must See to Appreciate all this beautiful home has to offer!